Treva Anne Christensen was born on July 10, 1976 in Joplin, Missouri. Christensen was a Joplin High School standout in basketball and volleyball. She was the Lady Eagles leading scorer her last two seasons, leading Coach Sandy Shelley’s team to the district runner-up spot in 1993. Christensen averaged 16.5 points per game and 8.1 rebounds as a senior. 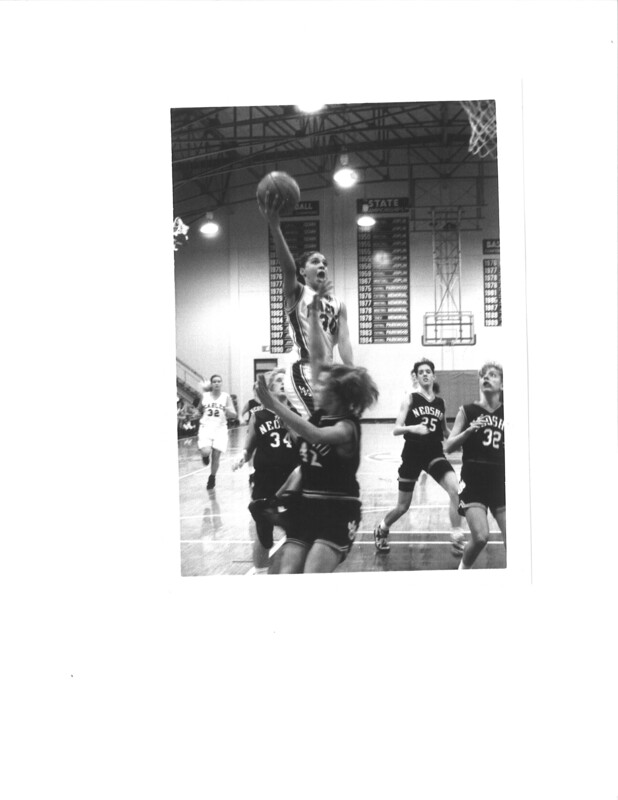 During her junior year she averaged 17.7 points per game and 8.2 rebounds. In her prep career she scored 1,257 points and grabbed 610 rebounds. Her career games included scoring 29 points versus Parkview High School as a junior and snaring 14 rebounds against Carl Junction High School as a senior. Christensen was recognized as a three-time All-Ozark Conference selection. In 1994 she was selected by Street & Smith’s girls All-American team as an honorable mention. Playing on the AAU club Olympic World team, she helped win the state titles in 1993 and 1994. The 1993 team finished seventh at the nationals and ninth in 1994. During the sophomore and junior years, Christensen was a two-year volleyball letter winner, helping lead Joplin High School to the district Championships. Following graduation from Joplin High School, Christensen received a full scholarship to University of Arkansas. During her freshman year a preseason stress fracture limited her playing time to 22 games, starting twice. Advised to sit out the next season due to the injury, she received a medical redshirt. The 1996-97 season Christensen played in all 28 games for the Hogs. The next year as a redshirt junior she averaged 7.5 pints per game with 2.3 rebounds. Her highest games scoring total was against the University of Alabama when she scored 21 points. An integral part of the Hogs team, Christensen was second in three points scoring with 26 treys, second in assists with 82, second in blocked shots with 2 and second in steals with 49. The Hogs appeared in the 1988 Women’s NCAA Final Four. From her outstanding play Christensen was selected to the NCAA West Regional All-Tournament Team. Christensen was voted as the team captain for her final season as a fifth-year senior. The 1999 basketball team made school history as the Lady Hogs were crowned the WNIT National Champions. After graduation, Christensen played professional basketball in Salo, Finland with the Salpa Basketball team in 2002. She was the first American to play on the team. One year later she played professionally in Funcahl, Maderia with the Clube Amigos do Basquete. Christensen played two years with the Amigos.